Want to have quick access to two premier lakes in Hayward without the high waterfront taxes? Here is your solution; at 14509 W. Hwy K, Hayward, I am offering you a solid, 2 bedroom ranch home on a huge corner lot with towering pine trees for only $87,900! This home is less than a 1/2 mile away from public boat launches on both Grindstone Lake and Lac Courte Oreilles. Plenty of room to store your boat and toys in this double-deep 2 car garage also. This cozy 936 sq. ft. home offers many possibilities – retire here with all your essentials on the main floor, start your family here, or use it like my sellers have; as a vacation fishing cabin. The full basement has another bath/shower and plenty of storage. Low taxes, under $1000 last year, and newer septic, roof and boiler – you can’t go wrong with this investment! Contact me today if you’d like more details. 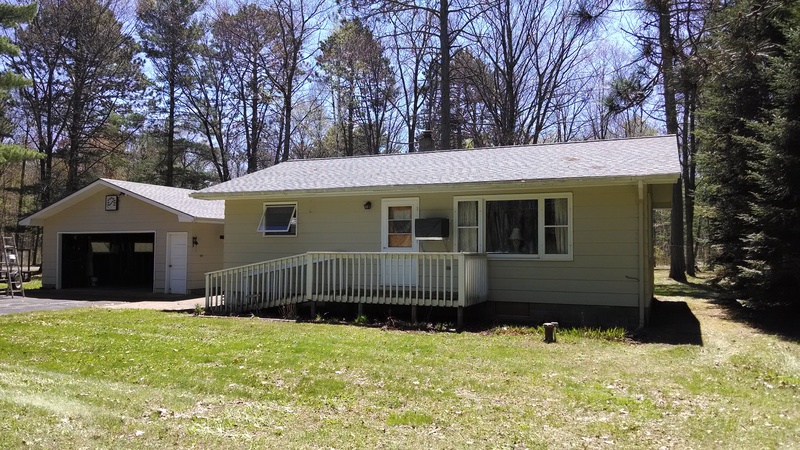 This entry was posted in FEATURED PROPERTIES, Homes For Sale Hayward, in the woods and tagged cabin for sale hayward wi, cathy lareau realtor, fishing cabin for sale hayward wi, fishing cabin for sale lco, grindstone lake fishing cabin, low price cabin for sale hayward. Bookmark the permalink.